AG MINISTER MEETS WITH INDUSTRY ABOUT DON | Chatham-Kent Agriculture Development | We Grow For the World! Ernie Hardeman, Minister of Agriculture, Food and Rural Affairs, held an industry meeting on Thursday to address the high DON in corn crisis in Ontario. Grain Farmers of Ontario brought forward several ideas to help alleviate farmer-member concerns around testing protocols, cash flow, storage of corn and harvest bottlenecks, new markets for high DON corn, and support for on-farm testing and technology. Storage: A significant number of farmers depend on the grain handling system for storage. The infected corn and late harvest are creating bottlenecks. Grain Farmers of Ontario is prepared to invest $240,000 into a program to purchase grain baggers for temporary storage solutions on the ground as early as next week. Testing: On Wednesday, Grain Farmers of Ontario approved a $100,000 investment to assist in improving the accuracy and consistency of the corn testing process. This project is expected to start producing results in the next two weeks. 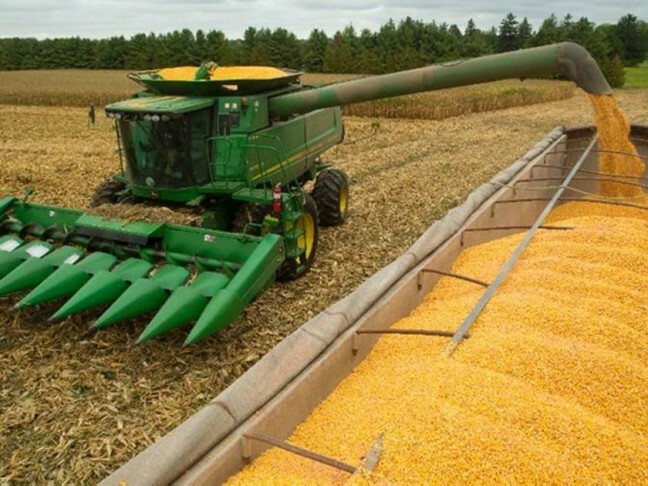 New Markets: Grain Farmers of Ontario is proposing a high DON corn market mission to Western Canada and to parts of the U.S. to explore new markets in the cattle feed industry. Grain Farmers of Ontario is also committing to a market development task force to seek out these new markets. This is in addition to work already underway with ethanol companies to process high DON corn. On-Farm Testing: Grain Farmers of Ontario is going to explore bringing on-farm testers to farmer-members and expediting the delivery of back-ordered corn screens for cleaners to Ontario. Grain Farmers of Ontario was represented at the meeting by Markus Haerle, chair, Barry Senft, CEO, and Debra Conlon, manager of government relations.